Indonesian President Joko Widodo, known as Jokowi, made his first visit to Washington last month as leader of the country with the fourth-largest population in the world and the 16th-biggest economy on earth. Indonesia has made a dramatic transition, in just 20 years, from the decades of dictatorship to one of the most vibrant democracies in the world. 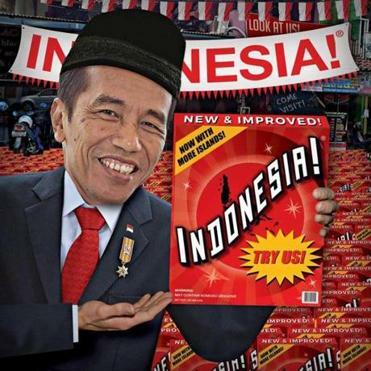 Jokowi himself signifies that political change. Raised in a middle-class household, he had no ties to Indonesia’s traditional elites but worked his way up from mayor of a medium-sized city to mayor of Jakarta to, in 2014, president of the sprawling archipelago. And during his visit to Washington, Jokowi and Indonesia were hailed by President Obama, who praised Indonesia’s “tradition of tolerance and moderation” and hailed “the next level” of partnership between the two nations. Yet in reality, most in Washington, and the rest of America, paid little attention to Jokowi’s visit — far less attention than might have been paid to the arrival of leaders from the Philippines, Myanmar, Vietnam, or other nations with smaller populations and tinier economies. Jokowi held no sessions before Congress, unlike Japanese Prime Minister Shinzo Abe or Israeli Prime Minister Benjamin Netanyahu. He was not welcomed by a phalanx of New Economy titans, the way former Chinese president Hu Jintao was received during a visit to Seattle in 2006. Jokowi’s trip received a smattering of coverage in the American media, but nowhere near as much as the reporting of the arrival of Myanmar politician Aung San Suu Kyi in 2012. Why a country labors in relative obscurity varies from place to place, but many unknowns face similar struggles — a lack of a large diaspora, few global ambassadors, shortages of big consumer brands. And being relatively off the radar can have ramifications that go far beyond national pride. Unknownness can dramatically undercut these nations’ strategic power, hinder diplomacy, hamper their companies, and make it difficult to attract global interest when they face serious crises. In the world’s conflict zones, there’s no substitute for being there. The unknownness of countries like Indonesia also often hurts the policies of powerful, better-known nations, like the United States, which can struggle to formulate policies toward states about which they know little — or even wind up simply making wrong-headed policies due to their unfamiliarity. In one of the most famous examples, the United States in the 1940s had only about one hundred Americans living in Vietnam, had few active diplomats there, and almost no cultural or business links to the country. As Washington became increasingly involved in war in Indochina — first supporting a French war in Vietnam and eventually sending American ground troops — the fact that there were few Americans with real knowledge of Vietnam made it far easier for policy makers in Washington to conjure optimistic, unrealistic projections of winning with no one to puncture these claims. There’s little reason not to think something similar couldn’t happen again. If the reasons vary for why a country is overlooked, there are typical ways in which the culture — and the image — of a country spread: food, music, sport, to name a few. For one, the unknowns often have relatively small global diasporas, at least as percentage of their populations, or their diasporas may have become relatively well integrated into the countries where they live. In a study of Americans’ perceptions of foreign cuisines by the Kellogg School of Management at Northwestern University, the ethnic cuisines identified by Americans as favorites — Thai and Italian, for example — are ones from countries with sizable global diasporas. And while foreigners could be exposed to a country’s cuisine by visiting that nation, unknown nations often receive relatively few travelers. Thailand had nearly 25 million tourist arrivals in 2014; Vietnam had about 8 million tourist arrivals that same year. 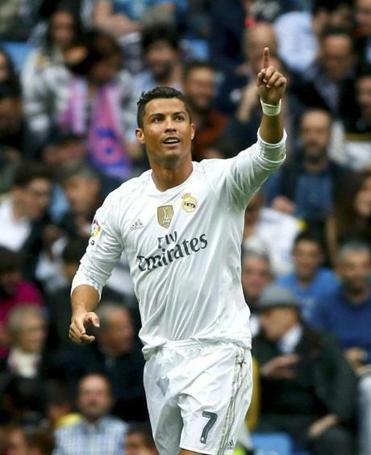 PORTUGAL: Real Madrid’s Portuguese striker Cristiano Ronaldo celebrated a goal during a match in October. Big unknowns like Bangladesh or Vietnam, a country known primarily in the West for a war that ended four decades ago, also have few global superstars of any type, whether in music, sport, cuisine, or literature. Even just one VIP ambassador — Cristiano Ronaldo of Portugal or Novak Djokovic of Serbia, for instance — can dramatically boost how well a country is known worldwide. Benedict Anderson, professor emeritus of international studies, government, and Asian studies at Cornell University, notes that Southeast Asia is the only large region of the world not to have produced a winner of the Nobel Prize for literature. In part, he suggests, this deficit is because many of the region’s countries dispensed with the languages of colonizers, which tended to be globally spoken languages. (In relatively obscure Malaysia, for instance, English proficiency has dropped precipitously since the end of colonial rule.) Other nations, like India and Singapore, retained English and used that language to become major cultural powers. The unknowns also usually have few internationally renowned companies in industries in which it is important to appeal to consumers, and their governments make little effort to promote their “country brands,” to foster soft power through public diplomacy. Little noticed nations like Vietnam may have some corporations with international reach, but these tend to be in areas, like oil and gas exploration, in which consumer taste matters little. Compare that to Dubai, where a growing global awareness of its airline, Emirates, which has grown into a carrier with one of the biggest route networks and some of the most luxurious cabins, has spilled over to foster a positive international image of Dubai itself. Until recently, government-promoted soft power was the province of rich nations — France’s Alliance Francaise cultural institutes in world capitals, for instance. But in the past decade, some larger developing nations have devoted considerable government resources to public diplomacy as well. China has created its Confucius Institutes, programs at universities around the world that promote Chinese language and culture, while South Korea’s government has established a presidential council on national branding and Korean culture institutes around the world. Other developing nations, however, have mostly ignored government-promoted public diplomacy, at their own expense. Mexico’s government, for example, has not even developed a coordinated nation branding strategy — a strategy that could be used to showcase Mexico’s rising wealth and to combat stories of crime and drug trafficking about the country that often appear in the global media. 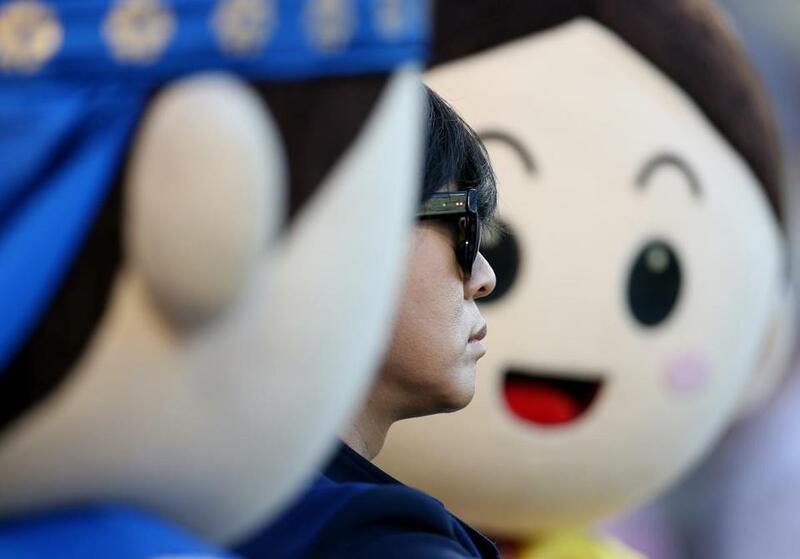 SOUTH KOREA: Pop star Yoon Do-Hyun prepared to sing the US national anthem as part of a Korea Night promotion during a Rangers-Dodgers game at Dodger Stadium on June 17 in Los Angeles. Of course, being known for negative histories and activities — though Liberia has become relatively stable, it is probably best known for the gruesome civil war from 1989 to 2003 — does not necessarily help a country on the global stage. But getting no attention at all hurts, too. Being relatively off the radar can have ramifications. It is a major impediment to companies from these countries seeking to sell consumer goods, and particularly to companies involved in pop culture exports. According to Euny Hong, author of a recent book on South Korea’s global image, “The Birth of Korean Cool: How One Nation is Conquering the World Through Pop Culture,” the country exported some $5 billion in pop culture related industries in 2014 and may export $10 billion in pop culture industries by 2017. In contrast, Vietnam has almost no globally competitive companies in pop culture industries. NIGERIA: Nollywood director Kunle Afolyan (center) spoke with technicians on a film set in Lagos, Nigeria, on Sept. 14. The value of being known does not only accrue to pop culture brands from rich countries, though South Korea is far richer than Vietnam. 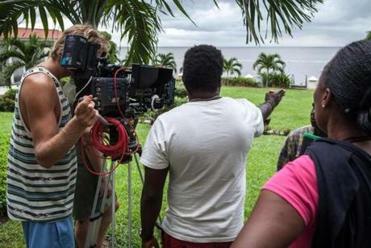 Nigeria, a country widely known, has developed a movie industry nicknamed “Nollywood,” which churns out $3 billion in films annually. Nollywood’s success depends in part on Nigeria’s reputation as a home to hip artists. Firms in less-known countries also often have trouble recruiting talented people from around the world, a necessity in many industries. “Country image plays a role in improving the recruitment of international talent,” say Anja H. Olafsen of the Norwegian School of Economics and John Nadeau of Nipissing University in Ontario in a study of image. Unknownness also limits countries’ diplomatic relations. While it is theoretically possible for a country to have strong relations simply through interactions between elites — the United States and Saudi Arabia have remained strategic partners for decades in a relationship built by elites, even as their populations have drawn apart — this is becoming a harder task to pull off, especially when dealing with democracies where policies usually require public support. (The gap in understanding between Americans and Saudis is contributing to the relationship’s deterioration over time.) As a 2014 British Council study of the effects of popular knowledge of countries’ cultures showed, when citizens are highly familiar with another country’s culture, they are much more likely to trust people from that nation. Such levels of trust make it easier for leaders from two such countries to build popular support for close relations. A country’s weak brand can even hurt it with individual foreign officials, undermining its leverage in foreign affairs. For much of the 2000s, senior US officials who traveled to Southeast Asia tended to concentrate their time in Singapore, soliciting Singaporean officials’ opinion on American policy for Southeast Asia, even though the city-state has only 5 million people. As many US officials explained, they knew Singapore and felt comfortable there; many knew Indonesia much less and felt less comfortable there. Indonesia’s leaders often complained to me that they rarely had a chance to voice views directly to top American officials. Countries that are relatively off the radar also find it harder to effectively respond when they are suddenly thrust on the world stage due to negative events. Using Emirates, as well as government-funded advertising campaigns and other tools, Dubai has made itself into one of the best-known nations or regions in the Middle East. Robert Govers, an expert on place branding at the University of Leuven in Belgium, found that, when a real estate and debt crisis hit Dubai in the early late 2000s, Dubai’s strong global brand allowed it to quickly rebound and generally receive positive coverage in the world media. This positive attention helped Dubai maintain high numbers of tourist arrivals and wield policy influence in its region. In contrast, after protests broke out in Bahrain in 2011 calling for greater political freedoms — and the government cracked down hard — it was difficult for Bahrain’s government to change perceptions of the country as troubled and dangerous. Kazakhstan, one of the richest post-Soviet states but a country largely unknown outside Central Asia, similarly found itself struggling to convince people that the absurd customs portrayed in the film “Borat” (Kazakhs supposedly being addicted to drinking horse urine, for instance) were parodies. “Since people had not visited Kazakhstan, knew no Kazakh bands, artists, or sports personalities, and had no other forms of contact with the country, ‘Borat’ lingered on in the background as their main frame of reference,” concluded Peter van Ham, senior research fellow at the Netherlands Institute of International Relations, in a study of branding. Leaving Washington, Indonesian President Jokowi headed home far from empty handed. He pledged that he wanted his country to join the Trans-Pacific Partnership, the giant Pacific Rim free trade area being negotiated by the United States and other countries. But the Indonesian president, famous for his charisma at home — as mayor of Jakarta, he walked the streets to personally inspect promised infrastructure reforms, and became known for his love of heavy-metal guitar — did not elevate the place of Indonesia in Americans’ consciousness. Jokowi barely met with Americans outside of a few policy makers and business leaders. In other words, the new Indonesian leader did not have a major impact on American hearts and minds. Perhaps next time, Jokowi should bring with him Jakarta’s finest chefs and pop stars. Joshua Kurlantzick is a senior fellow at the Council on Foreign Relations. • Are the new democracies pro-democracy?